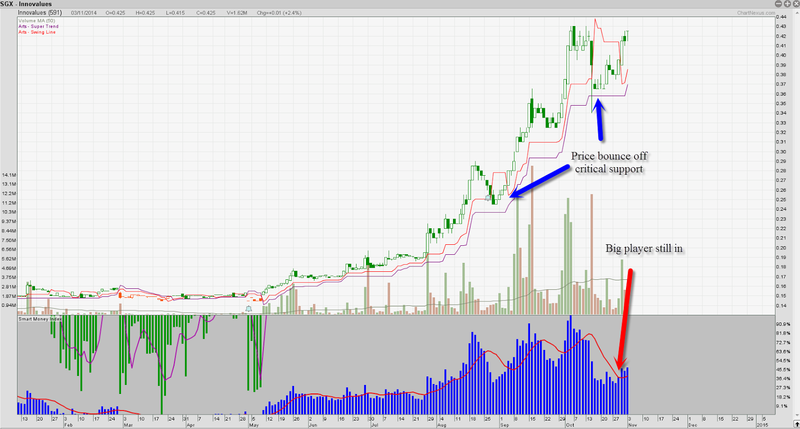 What happen to the Singapore Penny stocks in October? 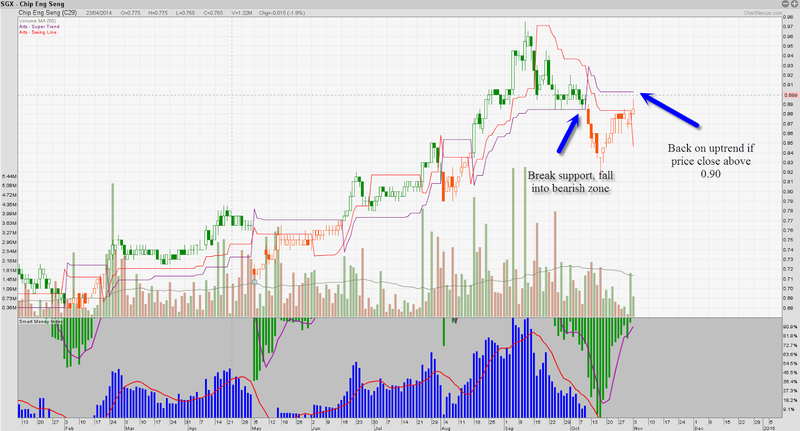 We posted a few Up trending Singapore penny stock counter in early October before the market goes into a deep correction. Will these stock crash down like Osim, Ezion, Biosensors? Lets see what happened to these stocks! 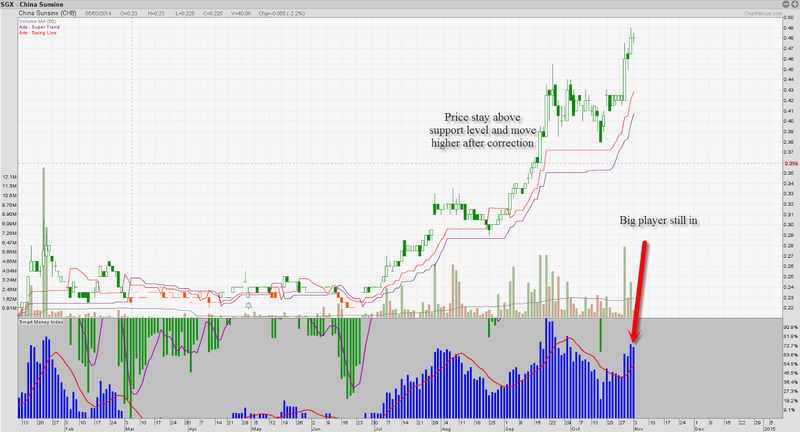 800 Super Holdings Ltd, on our previous post this stock was at 0.48, today it closed at 0.505, up by about 5% in a month. Chip Eng Seng Corporation Ltd (CES), on our previous post this stock was at 0.90, today it closed at 0.89, down by about 1% in a month. China Sunsine Chemical Holdings Ltd on our previous post this stock was at 0.43, today it closed at 0.48, Up by about 11.6% in a month. Jason Holdings Limited on our previous post this stock was at 0.365, today it closed at 0.375, Up by about 2.7% in a month. 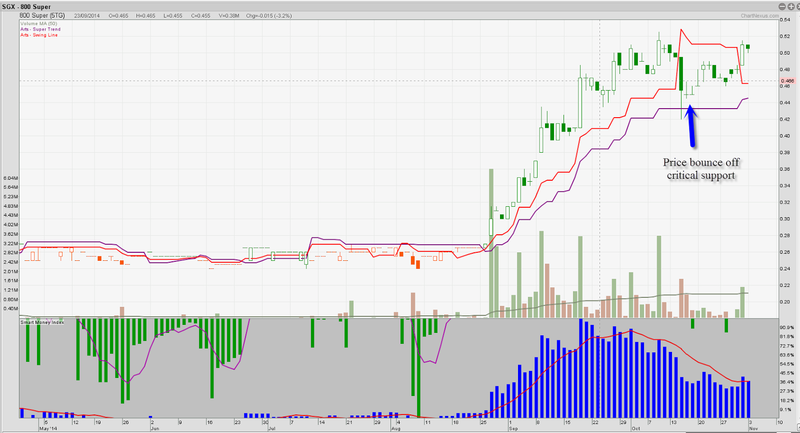 Innovalues Limited on our previous post this stock was at 0.35, today it closed at 0.425, Up by about 21.4% in a month. 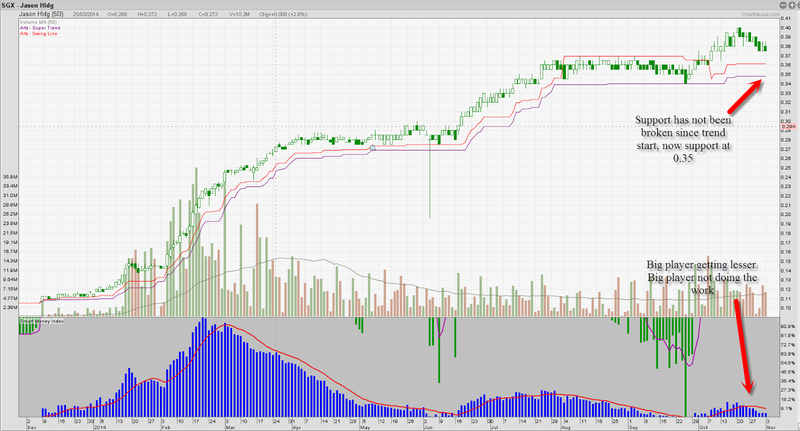 Conclusion is most of the trend remain strong, despite the correction. Follow the trend and your stoploss, not any stock guru. We will be sharing more on Osim, Ezion, Ezra, Sinograndness chart in our upcoming Free seminar.